Zach Ashley doesn't see himself as a hero. He's just a regular guy who gets to help people every day as an EMT. But when he's called to a scene and has to treat his most gorgeous patient ever, he finds himself mixing work with pleasure. 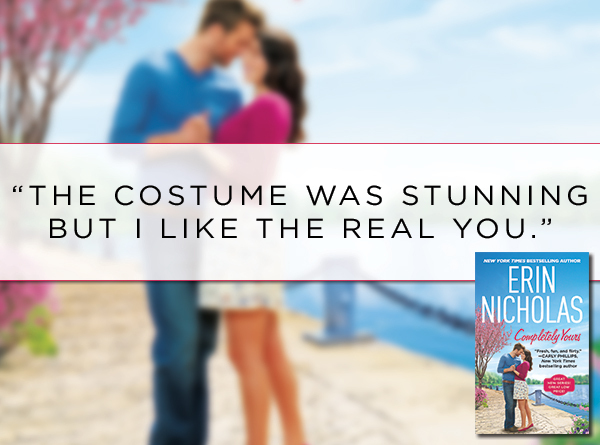 He never hesitates to put his life on the line... but will he ever risk his heart? This was truly about learning that life isn't something you can completely control. Kiera is a strong woman – she knows who she is, what she wants, and she's not afraid to achieve those goals. However, from the glimpses you get to see of her past, you know that wasn't always the case. There was a time when she tried to bend, mold, and shift herself into the perfect view of someone else. Josie and Aimee and Zach had a great life – at least that's what Zach thought. However, the issues within a family are usually hidden such that an outsider won't know what the dynamic is within a family. Zach learns this the hardest way possible. Despite being successful and loving his job, he's a fixer. When he can't fix things, he neglects himself in order to try and figure out a way. This has a lot of dynamic built in. Aimee is struggling to come to terms with the death of her sister, trying to please her brother, and hiding the secrets of her parents. While finding a new circle of friends, she realizes that she is free to do so without fear of disappointing her brother and parents, because they all have their own things to work through. 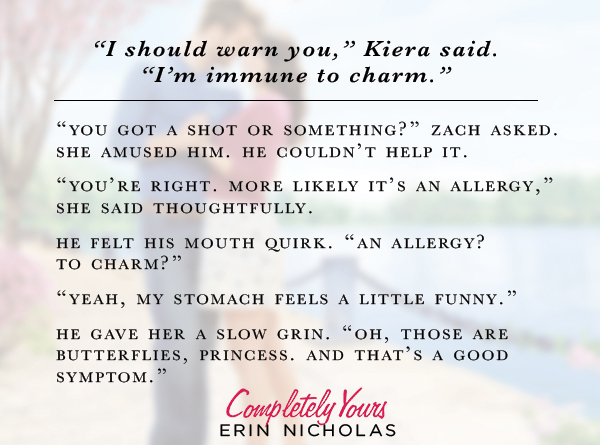 Kiera and Zach are very different when they first meet, but both are unafraid to be who they want. I think that the relationship between Kiera and Zach is pretty organic from the beginning, despite them coming together fairly quickly. 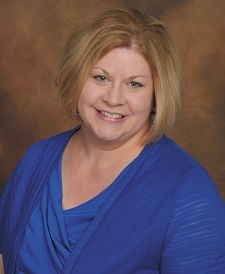 I think that Aimee helped to create the organic dynamic. This was a sweet story with great characters. I do hope that more characters get their own stories and with this being a book one, I am hopeful it will be soon. 4.5 Sweet, hot and meaningful stars – rounded up because the more I think about it, the more I realise how much I enjoyed it! This is the first book in a new series, and I cannot wait to immerse myself back in the company of this delightful group of interesting people. I did not read the first chapter of book 2 at the end though, because I knew just how frustrated I would be at having to wait for the next story! I do hope Ms. Nicholas is busy plotting, so that we get it soon. Sometimes books which pitch two people at each other in a moment of crisis have an element of drama that never seems real. Here Ms. Nicholas has done exactly that and exploited it brilliantly through an online world. I cannot emphasise how cleverly she leads us down a path of reality, to then use the online world to make us laugh, and wait for everything to come together. I am not someone who enters such worlds, but I absolutely get why it happens, and how it can help in times of trouble. With a good sized cast, and lots of potential stories in the future, I have a feeling this is one of those series that will become a best friend to be turned to in times of need. So, whilst I would happily reread this immediately, I shall wait until Maya gets her turn, and then indulge in a twofer. Thank you in advance Ms. Nicholas! 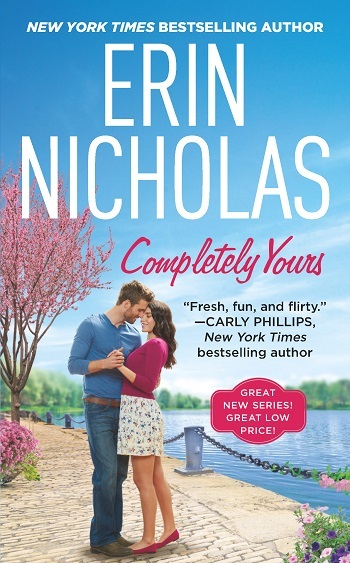 Reviewers on the Wicked Reads Review Team were provided a free copy of Completely Yours (Opposites Attract #1) by Erin Nicholas to read and review for this tour.